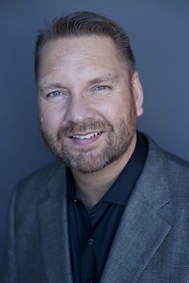 ​Lee Odden is a marketing strategist, author, speaker and CEO of TopRank Marketing, a digital marketing agency with experience serving top B2B and B2C brands including McKesson, SAP, LinkedIn, State Farm, Dell and 3M. Lee’s team of consultants are pioneers at developing and implementing “best answer” marketing strategies that integrate content, search, social, influencer marketing and online advertising. Onlaytica has ranked Lee as one of the top content and social media marketing influencers in the world. ​Cited by the Wall Street Journal, The Economist and Forbes for his marketing expertise, Lee has evangelized a customer-centric approach to marketing at over 200 events in 17 different countries, through numerous editorial columns in industry publications and an award-winning blog at toprankblog.com. ​Shonali Burke, ABC, is an award-winning growth strategist whose unique combination of incisive business acumen, integrated marketing communications expertise and impeccable project management skills helps businesses around the globe bring big ideas to life. Shonali joined The Johns Hopkins University's M.A./Communications program as Adjunct Faculty in 2009, teaching courses on nonprofit communication in the digital age and public relations writing. She also teaches a course on PR measurement for Rutgers University’s PR Certificate program, which she helped develop. She is also the developer of and instructor for Traackr’s acclaimed Academy of Influencer Marketing online training program. In 2015, Shonali founded The Social PR Virtuoso® , which provides individual and group training and resources in integrated, community-focused and measurable Social PR. An early adopter of social media in the PR space, Shonali founded and still hosts the #measurePR hashtag and Twitter chat. Shonali's multiple awards and recognitions include being named to PRWeek’s “Top 40 Under 40” list of U.S.-based PR pros; the first Indian woman ever to earn this achievement. 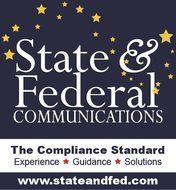 In 2015, the Association of Women in Communication named her the recipient of its storied “Matrix Award” for her pioneering contributions and service to the industry. She was named "Instructor of the Year" for the Johns Hopkins M.A./Communication program in 2016. Have general questions about the conference ? Contact Lianne Fowler of Akron Area PRSA at akronprsa@gmail.com or 330-780-5175.